Success is in the details! The owner’s attention to detail and dedication to the principles of green design practices made this project an amazing success. Designed around the U.S. Green Building Council, LEED Platinum standards, it’s successes go beyond typical living and aesthetics and include the process and the performance. The post occupancy measured energy score yielded a HERS of 38, which represents a home built 60% better that the average. This translates into lower energy cost, a smaller carbon footprint, and greater comfort. 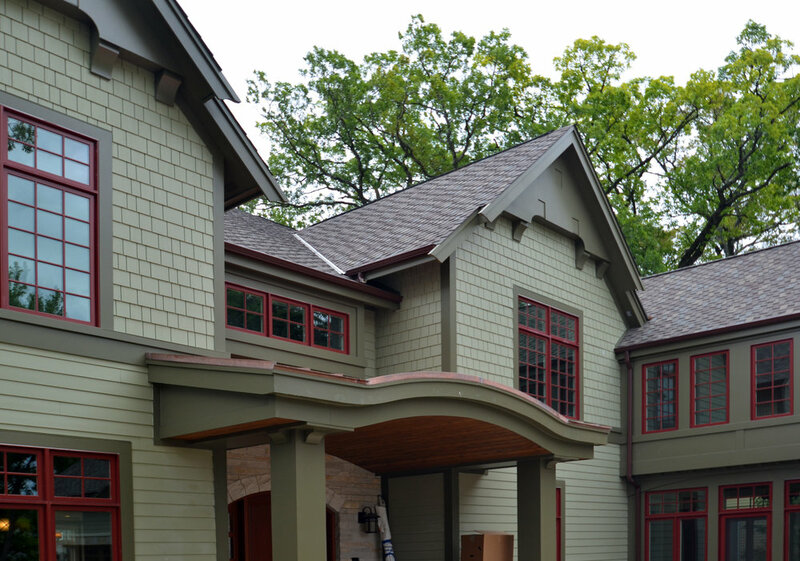 Features of the home that help achieve this goal are a well built tight exterior envelope, spray foam isynene insulation, geothermal climate control system with energy recovery unit, and energy efficient LED lighting. The project also diverted over 90% of it’s construction waste with only one 30 yard dumpster being sent to the landfill. This was due in large part to the homeowner’s extreme diligence in seeking out recycling sources for material and in some cases personal hauling material to these sources. This home is just steps away from Culver, Indiana’s quaint downtown. A meal at the local favorite, Café Max, is at your fingertips. 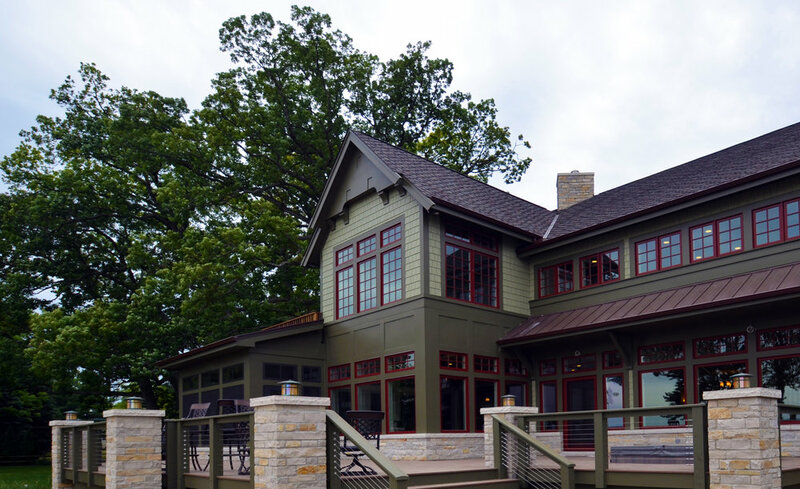 Located on the west shore line of Lake Maxinkuckee, panoramic windows provide an uninterrupted view of the Culver Academy hillside and the East Shore. The plan is centered around a massive stone masonry heater (fire place) that also includes a wood burning pizza oven on the kitchen facing side. 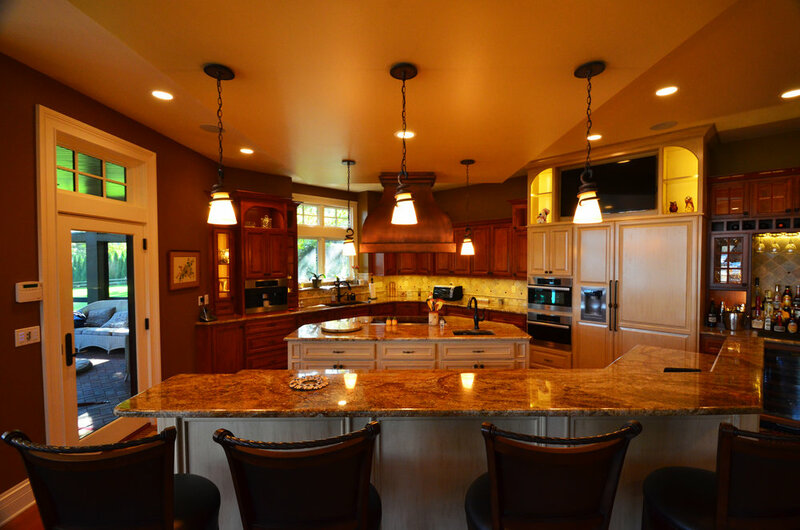 The Kitchen features a double island that provides the ultimate communal kitchen allowing the party to be in the kitchen without disrupting the food preparation. A Large screen porch provides ample space for lounging, eating, and relaxing with the Lake Breeze. Bonus room over the garage offers an alternative entertainment space for the teenagers. The master bedroom takes the prime real-estate on the second floor on the lake side with three walls of windows and an outdoor lake facing balcony. Large lake side deck reaches out to lake with stone piers and a cable rail that minimizes obstruction of the panoramic view.